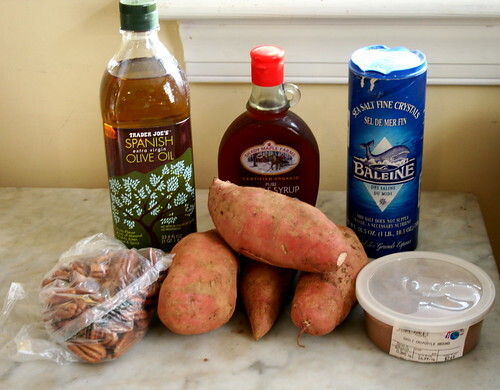 Sweet potato casserole–it’s one of those dishes that shows up at nearly every family’s Thanksgiving table. It’s a classic, I’ll admit, but it’s always been a dish I’ve found to be too heavy, too sweet. 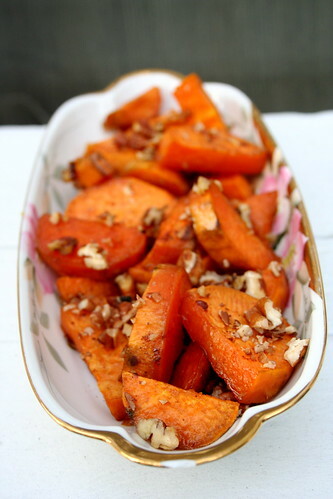 As an alternative to the sugary, marshmallowy, orange casserole, I’m proposing you try a naturally (and lightly) sweetened, slightly smoky-spicy, roasted sweet potato dish. The maple syrup adds a lightly caramelized sweetness to the potatoes and the chipotle chili powder gives them a dark, smoky dimension. With the crunch of toasted pecans on top, it’s a winner! 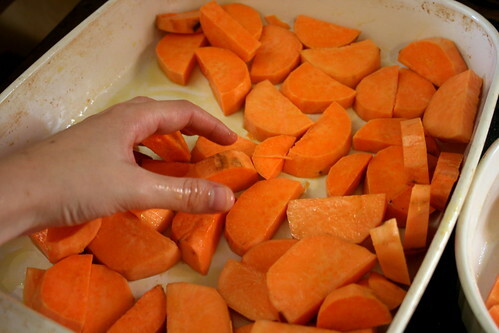 Peel the sweet potatoes and rinse off any excess dirt. 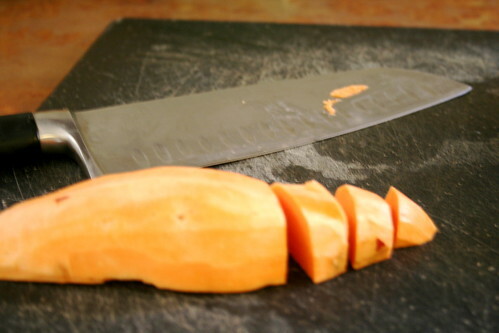 Cut the sweet potatoes lengthwise. Next, slice the halves crosswise into 1/2 inch thick pieces. 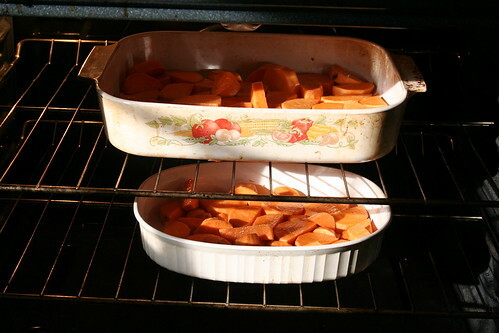 Layer them in two large casserole dishes or on two baking trays. 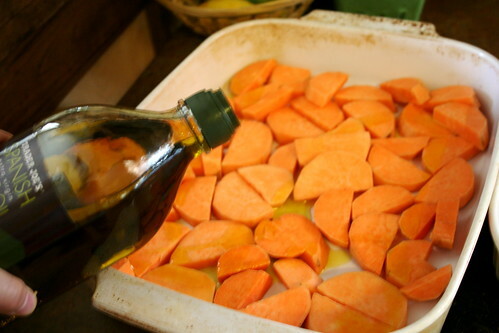 Evenly, pour the olive oil on top. 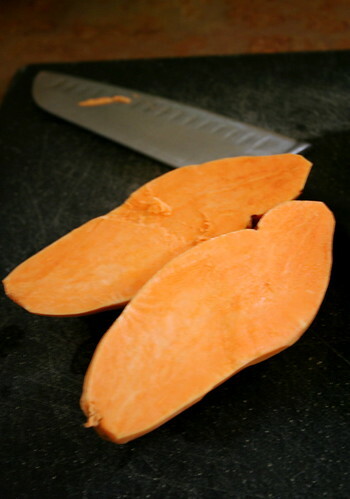 Sprinkle with salt, then toss the sweet potato pieces with your hands to make sure they are evenly coated. 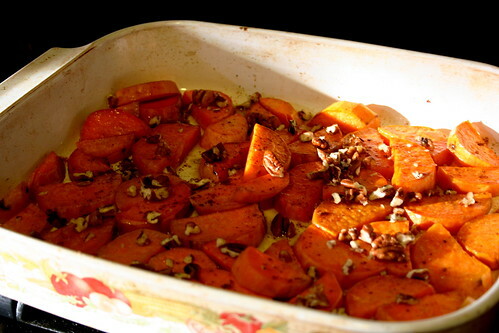 Place in the oven and bake for 25-30 minutes, until almost all the way soft. 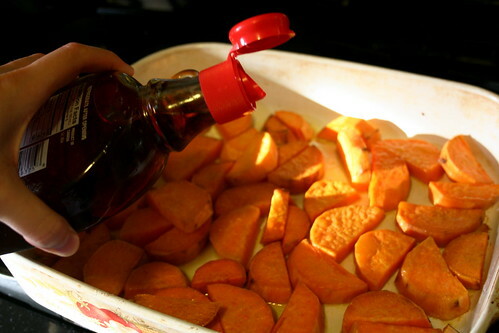 Remove from the oven and pour the maple syrup over the sweet potatoes. 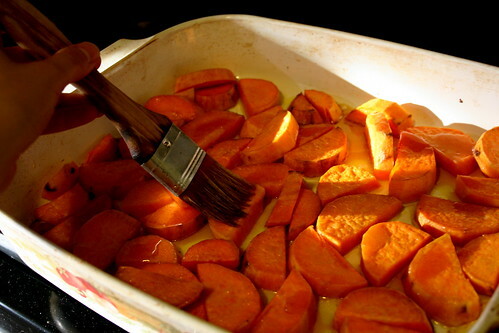 Use a pastry brush to evenly coat the sweet potatoes with maple syrup. Sprinkle the chipotle chili powder and chopped pecans on top. Put back in the oven and bake for another 10 minutes. Remove, let cool, then serve! 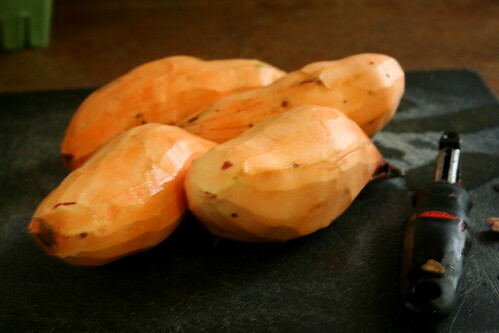 I don’t think I have the ability to refuse a sweet potato. And this flavor combination sounds too good to not make! Looks like this is on the menu for tonight!